Centrally located in downtown Paramus, this hotel is 1 mile from the Paramus Park Mall and Garden State Plaza Shopping Mall. 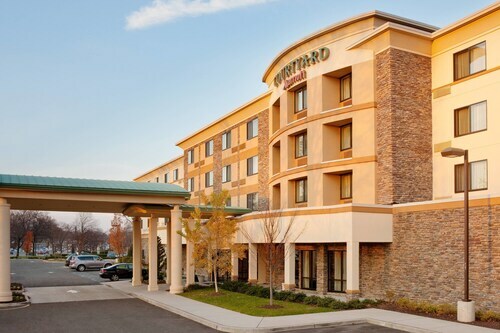 Situated in Paramus, this hotel is 1.6 mi (2.6 km) from Westfield Garden State Plaza and 2.4 mi (3.8 km) from Saddle River County Park. Paramus Park Mall and Ridgewood Country Club are also within 6 mi (10 km). 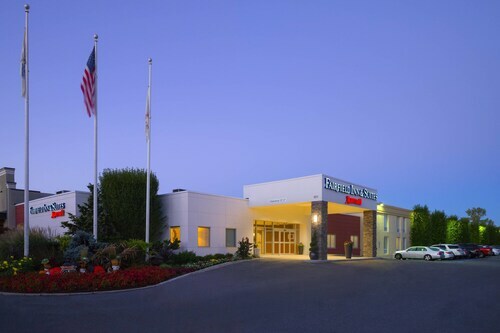 Located in the heart of Paramus, this hotel is 1.1 mi (1.8 km) from Paramus Park Mall and within 3 mi (5 km) of Bergen Regional Medical Center and Ridgewood Country Club. Orchard Hills Golf Course and MetLife Stadium are also within 12 mi (20 km). 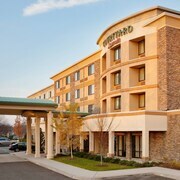 Situated in Paramus, this hotel is within 1 mi (2 km) of Fashion Center and Paramus Park Mall. Ridgewood Country Club and Van Saun County Park are also within 3 mi (5 km). 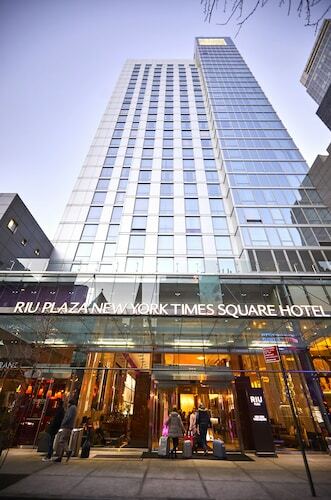 Situated in the business district, this hotel is within 1 mi (2 km) of Paramus Park Mall and Fashion Center. Bergen Regional Medical Center and MetLife Stadium are also within 12 mi (20 km). 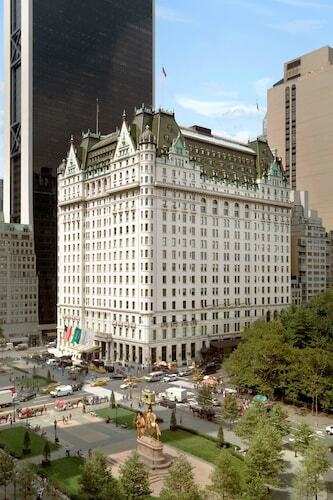 How Much is a Hotel Room in Paramus? Hotels in Paramus start at $100 per night. Prices and availability subject to change. Additional terms may apply. Paramus, New Jersey, offers something different from the big-name brands on Manhattan's Fifth Avenue. The Garden State doesn't levy taxes on clothes, making this the ultimate destination for New Yorkers looking for a bargain. From large retail outlets along Routes 4 and 17 to unique boutiques at the Fashion Center, Paramus is a shopper's dream come true. Reserve a room in Paramus hotels to be in the center of this East Coast shopping hub. When it comes to shopping, you'll be spoiled for choices in Paramus, which is only 27 miles from Newark Liberty International Airport. When you arrive, check out Paramus Park, an enormous mall that spans 771,000 square feet. Bigger still is Westfield Garden State Plaza, three times the size of Paramus Park and home to large department stores, a movie theater, and even a Venetian carousel. Stay in hotels near Paramus to be close to Westfield Garden State Plaza, formerly the largest shopping mall in the United States. If you're traveling with children, don't forget to visit the Paramus Fritz Behnke Historical Museum. The museum – which uses the slogan, "take a trip down memory lane and reminisce about the way things used to be" – houses exhibits from yesteryear, including furniture and toys. Westfield Garden State Plaza is a popular place to eat: You'll find a mix of big-name burger bars, pizza joints, and upscale seafood restaurants. Alternatively, head over to the Paramus Park food court, where you can grab a bite if you're in a rush. Feeling thirsty? Stay in the best hotels in Paramus and order an Applejack cocktail – a mix of grenadine, lemon juice, and brandy, and a favorite with New Jerseyans since Colonial times. Looking for cheap flights to Newark? Download the free Travelocity app on your smartphone for exclusive mobile deals. Save on Paramus vacations and have more money to spend shopping! 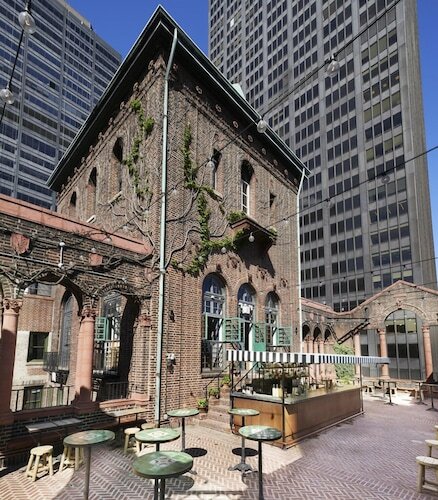 Perfect location, easy access to everything. Room was clean with comfortable bed and awesome pillows. I was happy to be able to store the luggage for few hours after check out, before taking shuttle to the airport.